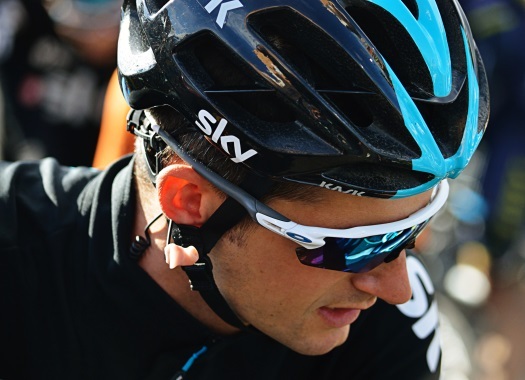 Team Sky rider Wout Poels is determined to use his participation in the Route du Sud to earn a spot in the Tour de France squad of the British formation. Poels has been of vital importance to Chris Froome in the last few editions of the Tour de France but has been struggling with injuries this season. The Route du Sud is his first race in four months as result of a knee injury that began during the Ruta del Sol in February. "At the time I thought it was a minor injury but it kept me sidelined for a couple of months," Poels told Dutch broadcaster NOS. "Those aren't the best times. You start getting bored and after a while you get frustrated. But fortunately we managed to solve the problem and I'm back on my bike. "If things go well here, I should normally go to the Tour. And if not, I'll have another holiday," he continued. The Dutchman himself feels confident about his current progress. "Normally I won't actually be needed until the last week and a half of the Tour. I don't have to be in top shape in the first week, like Chris (Froome). "So I think we're well on schedule. The team has confidence and I feel good. I've been training normally for four weeks now and did an altitude camp with the team in Tenerife." Poels hopes that his performance in the last few editions of the Tour de France will give him enough credit to conquer a spot on Sky's list for this year's race. "I've been a key rider for the team in the last two years. Of course you're never sure of your spot but if things went well in the spring I never really had to worry about it."